The Congressional budget process is a dysfunctional mess. Lawmakers often juggle a series of continuing resolutions and occasional government shutdowns until finally crafting a single omnibus appropriations bill well into the next fiscal year. That 2,000-page, trillion-dollar bill is then quickly passed before lawmakers can read it and before outsiders can expose the gimmicks. Congress finally acknowledged these problems in February when it created the Joint Select Committee on Budget and Appropriations Process Reform. This 16-lawmaker “super committee,” whose membership is equally split between the House and Senate, and between Republicans and Democrats, has spent most of 2018 identifying budget reforms that can achieve bipartisan support. Any reforms sent to the full Congress must have the majority support of both the committee’s Republicans and Democrats. Unfortunately, the committee came up mostly empty. After months of hearings, testimony, and debate, the committee unveiled legislation that contained only a single notable reform: a scaled back version of biennial budgeting. Congress would replace the annual budget resolution with one that passes every two years (appropriations bills would continue to pass annually). This merely standardizes what has become common Congressional practice and is completely insufficient to deal with the broken appropriations process and its missed deadlines, government shutdowns, trillion-dollar omnibus bills, and gimmicks. Move back the start of the fiscal year from October 1 to January 1. Congress has proven totally incapable of passing $1.3 trillion in appropriations by October 1 each year. Since appropriations typically are finished close to January 1 anyway, Congress should move back the fiscal new year to lessen the threat of government shutdowns and to limit the need of federal agencies to operate on continuing resolutions. Consolidate the number of appropriations bills. Appropriations bills have been completed on time only three times since 1985, due mostly to the condensed schedule. 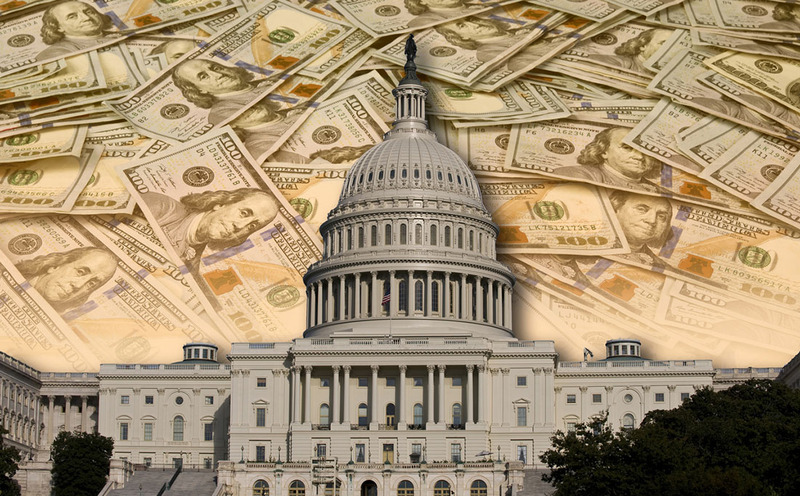 The budget resolution typically sets broad spending levels in April. Then, the House and Senate Appropriations Committees must write and approve 12 complicated spending bills. Next comes amendments—but a true open amendment process often requires a full week to process each individual bill on the House and Senate floor, before forming 12 conference committees to negotiate the differences, and then sending 12 conference reports back to the House and Senate for final passage. Completing all of this by October 1 has proven to be nearly impossible (and even by January 1 would be a challenge), which is why Congress typically merges all 12 appropriations bills into one large “omnibus” bill or a few small “minibus” bills. In order to reserve some House and Senate floor time to address issues such as taxes, immigration, and judicial and executive confirmations, Congress should consolidate the 12 appropriations into 6 or even 4 bills. This would standardize the minibuses and limit the need for a single omnibus bill. Consider biennial appropriations. Another way to address the near-impossibility of enacting 24 stand-alone appropriations bills every two years is to pair the proposed biennial budget resolution with biennial appropriations. Congress could more easily allocate floor time to appropriations in odd-numbered years if it can also keep even-numbered years open for other priorities. Two-year appropriations require a longer planning window and may require some supplemental tweaks in the second year, but that process could not possibly be as chaotic as the current practice of appropriating by continuing resolutions, omnibus bills, and shutdowns. Ban government shutdowns. To reduce uncertainty, Congress should pass a law that automatically continues funding for discretionary programs at the current rate (or possibly slightly below that rate) until the late appropriations bills are enacted, rather than allow the programs to shut down. This would bring predictability to federal agencies and the citizens dependent on them. Furthermore, lawmakers would no longer feel pressured to vote for budget-busting omnibus bills they have not had a chance to read, under the threat of a looming shutdown. Ban timing-shift gimmicks. Budget rules require certain policies be offset over a five- or ten-year period. All too often, Congress complies simply by shifting a payment or revenue collection a few days inside or outside of the timing window. This gimmick to circumvent fiscal responsibility should be banned. Ban CHiMPS in appropriations bills. Changes in Mandatory Programs (CHiMPS) allow Congress to simply delay (not repeal) a mandatory expenditure for a year, and then use those “savings” to offset higher discretionary spending. Thus, delaying a single $20 billion mandatory expenditure for 10 years can “offset” $200 billion in additional discretionary spending over the decade – which is exactly what Congress is currently doing. Move war spending into the regular appropriations. In the early 2000s, it made sense to budget for the war on terrorism through supplemental emergency bills that were exempt from annual discretionary spending targets. In 2018, this spending has become a stable and predictable part of the federal budget, and therefore should be subject to the same budget restraints as all other appropriations. Expand the budget and scoring windows to 20 years. From tax cuts to entitlement expansions, Congress has mastered the practice of enacting legislation with costs that are manageable in the first decade (which is fully scored) and then explode in future decades. The budget resolution should be required to cover 20 years, and all legislation should be scored over a 20-year period. Laws limiting deficits and spending can also be applied over 20 years. Equalize baseline treatment of mandatory spending and tax cuts. The Congressional Budget Office (CBO) baseline assumes that most expiring mandatory programs will be renewed, but most expiring revenue provisions will not. Combined with Congressional anti-deficit rules, this essentially means that tax cut renewals require full offsets (since they are treated as new tax cuts), but mandatory spending renewals often do not (since they are already assumed in the baseline). This disparate treatment biases the budget rules in favor of both higher spending and higher taxes. Congress should ensure consistent baseline treatment for mandatory spending and taxes. Give lawmakers and citizens a chance to read the bill. Allow any lawmaker to raise a super-majority point of order against the passage of any bill whose legislative text has not been publicly available for 72 hours. Government accountability reports. Require that Washington send each taxpayer an annual itemized receipt of where its federal tax dollars are going, and what the long-term deficit projections mean to their family. Require that reconciliation bills reduce budget deficits. Reconciliation is a powerful tool that allows a limited number of tax and spending bills to pass without a Senate filibuster. Its intended purpose was to make it easier for lawmakers to reduce the budget deficit, yet is often used to enact legislation expanding the red ink. The budget process should not be used to ease the passage of deficit-expanding legislation, and the budget law should explicitly include that limitation. Allow lawmakers to apply appropriations cuts to deficit reduction. Lawmakers who strike funding from appropriations bills on the House or Senate floor typically see those savings automatically allocated to other spending. Congress should create a deficit reduction account in each appropriations bill to protect any such savings. Five-year review of mandatory spending. The annual budget process leaves mandatory spending—two-thirds of the federal budget—to grow on autopilot with no oversight. Lawmakers should set long-term spending targets for major mandatory programs. Every five years, they should be required to ensure that the spending levels remain on track. GAO “duplication estimate” for each bill. Even with 160 housing programs, 100 mental health programs, and 80 major economic development programs, Congress continues to add new programs on top of existing ones. A GAO duplication estimate could help lawmakers streamline bureaucracy and reduce administrative confusion by reducing program duplication. Enhance presidential rescission. Recent Presidents have called this the “legislative line-item veto” as it would require Congress to vote up or down on presidential rescission requests rather than just ignore them. Codify the 2011 earmark ban. Congressional rules have banned earmarks since 2011, but putting the ban in law would better ensure its continuation. Earmarks do not directly increase spending and deficits, but they put pressure on lawmakers to expand programs to accommodate all the pork. More importantly, earmarks have proven to be magnets for corruption and fraud by allowing lawmakers to distribute large government grants to friends and donors. Each proposal described above would ruffle the feathers of some group of lawmakers, which is likely why they were not part of the Joint Select Committee’s original recommendations. Yet the current budget process is a disgrace, and lawmakers need to think bigger than a biennial budget resolution and the status quo for appropriations. Stewardship requires looking beyond parochial interests, and fixing a dysfunctional budget process that has contributed to Congress’ abysmal 21 percent approval rating.